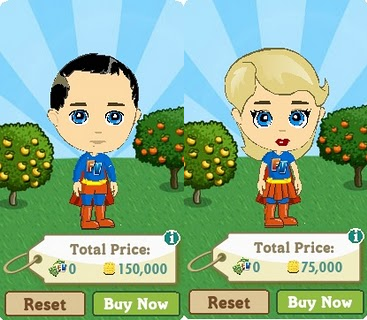 Players who purchased the new SuperFVMan and SuperFVWoman costumes in FarmVille were greeted today by a disappointing surprise. These costumes were taken away from avatars, and in return, a refund was provided of the purchase price. The most obvious reason for these costumes being removed (while all other costumes are still available for purchase) is that Zynga received a knock on their door from DC Comics, who own the rights to Superman. Whether it was a phone call slap on the wrist or an actual Cease and Desist letter, we're not sure. In fact, it could have been unrelated to DC Comics at all. However, something fishy is definitely going on. It's unlike Zynga to take away items from players, remove them from the game entirely, and give out refunds. Hey, Farmers Unfortunately, the SuperFVMan & SuperFVWomen costumes are no longer available. If you purchased one of these costumes, they have been removed from your inventory and your account will be refunded accordingly. We sincerely apologize for the inconvenience. Note: It can take up to 24 hours for the reimbursement process to reach your farm. Thank you for your patience! What do you think is up? Are you disappointed that your SuperFarmer costume is gone, or happy to have your money back to buy something else?